Retirement is defined as the withdrawal from one’s position or occupation or from active working life. In many cases, retirement is a matter that is not really prioritized, especially for young entrepreneurs and professionals. Slogans like Yolo, or “you only live once,” seem to put a lot of weight on the present. However, retirement is something that has to be planned for as it will ultimately happen to many. In this light, there are three vital questions that have to be answered in order to plan effectively for retirement. The first question is “What is the retirement goal?” Stephen Covey once said that we should begin with the end in mind. Retirement is not exempt from having a goal. Leaving retirement up to sheer luck will be very risky. Awareness of the retirement goal can help bring about a more purposive way of living. The retirement goal question can be answered in terms of time. What is the planned retirement age? For many, the retirement age can be the mandatory retirement age in the corporate world. For others who follow a different path, the retirement age can be a lot lower. What is the expected life expectancy? According to the latest report in 2018 of the World Health Organization, the average life expectancy in the Philippines is about 69.3 years. Life expectancy can vary depending on one’s general health status. The difference between life expectancy and the retirement age is the retirement period. Thus, the retirement goal question can also be answered in terms of financial value. What amount will be needed to sustain life during the retirement period? Forecasting the financial value can be based on items like current lifestyle spending, possible future opportunities and also on the projected inflation figures. The second question then, is: “What are the resources to support retirement life?” Current resources of an individual can be those that are liquid and non-liquid. Liquidity refers to the ease through which assets can be converted to cash. Examples of liquid assets include cash, bank accounts and easy-to-convert financial investments. Examples of non-liquid assets can be physical property and long-term financial investments. Apart from current resources, expected resources must be considered, as well. These additional resources can include additional cash from projected salary increases, corporate retirement benefits, gains from long-term financial investments and also benefits from government pension schemes. In reality though, the amount needed for retirement may be higher than what both current and expected resources can support. This can be referred to as the retirement gap. The third question then is, “How can the retirement gap be addressed?” There are quite a number of ways that can be done in the present to bridge the gap. One way is to review expenses. By identifying needs versus wants, by optimizing expenses to proper levels and by developing a good budget, money can be added to the assets of an individual. Another way is to augment income. Income can be in terms of active income. Active income can be enhanced over time through professional development and good work ethic. Income can also be in terms of passive income. This type of income can be enhanced through additional work, running a business and financial investments. A good combination of active income and passive income can help an individual generate multiple streams of income that can further augment the resources needed for retirement. In planning for retirement, time is truly a great ally. It is never too early for one to plan for retirement. Consciousness and action related to the preparation for resources needed for retirement can spell the difference. Living in the present must be balanced with living the kind of life planned for in the future. Hopefully, the financially seeds planted today will eventually lead to a good future financial harvest. 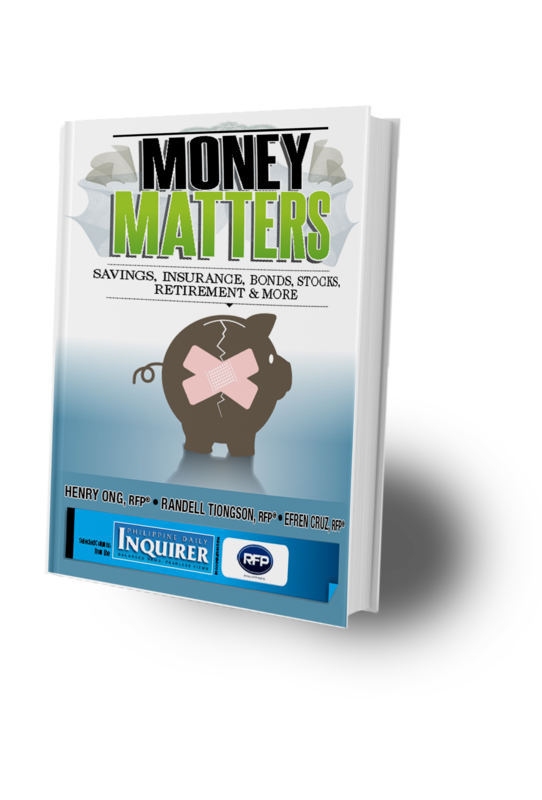 Gemmy Lontoc is a Registered Financial Planner of RFP Philippines.